With over 20 years experience installing and supplying solid fuel stoves in Londonderry, Boyhill Cookers is a trusted family business based in county Fermanagh and serving all of Ireland, that continues to deliver the best quality and selection of both traditional and up-to-the-minute contemporary style stoves Londonderry demands. Among the best of high quality insert stoves Londonderry has seen are the Stovax, Esse, and Dovre brands, which are strongly represented in our range. Come and view these beautiful stoves in action and get a first-hand feel for the power and efficiency of these models. You will be delighted and amazed. 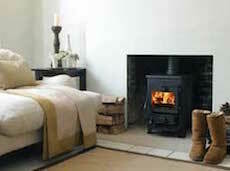 So, for top quality stoves in Londonderry, friendly service and excellent value for money, contact us today!